On October 4th, cigarette company R.J. Reynolds asked the Florida Supreme Court to review an order by a Miami jury ordering the company to award a family close to $13.5 million in connection with the death of Carole Larkin, who died from mouth cancer after smoking the company’s product for more than 30 years. In its appeal, the company alleges that the instructions provided to the jury regarding product liability claims were in “naked defiance” of the law; Specifically, the company claims that a ruling issued by the state Supreme Court rejected an earlier approach to a related claim. Larkin’s suit claimed that the company participated in an “industry-wide conspiracy” to conceal the harm caused by its cigarettes, relying on propaganda to do so. In it, Larkin successfully proved to the jury that the company’s product was defective–along with claims of concealment and conspiracy to conceal–resulting in damages totaling close to $5 million in compensatory damages and an additional $8.5 million in punitive damages. 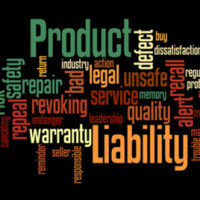 The issue at hand has to do with which test is appropriate for a jury to apply when it comes to determining product liability. The jurors received instructions that they could find that a defendant was liable for products liability either based on the “consumer expectations test” (because the product did not perform as the customer reasonably expected it to) or the “risk utility test” (where the risk of danger in the design of the product outweighed the benefits). However, the Florida Supreme Court, in another case, concluded that the proper definition of design defect utilizes the “consumer expectations test” instead of the “risk utility test,” because it “best vindicates the purposes underlying the doctrine of strict liability,” ultimately disapproving of the Third District’s adoption of the “risk utility test” for design defects. When the company appealed the Larkin verdict in the Third District based on this Florida Supreme Court decision, the Third District decided that the failure to instruct the jury on the exclusive use of the “consumer expectations test” did not result in a miscarriage of justice, nor did it confuse the jury into coming up with the damages award that it did. Not only have plaintiffs argued in various cases against cigarette manufacturers that these companies were liable for making and marketing products that were unfit to use, but also that they failed to act with reasonable care in the manufacturing of the products and failed to properly warn consumers of the risks of using their cigarette products. Both individual plaintiffs and states became more and more successful in this litigation as more and more evidence emerged that the companies were aware of the effects of their products, triggering state consumer protection laws in addition to product liability claims. If you or a loved one has been injured or killed as a result of a product, contact Friedland & Associates today for a free consultation on your case. We would be happy to discuss your case and answer any questions that you may have, free of charge.